Fortune is out today with its annual FORTUNE 500 list ranking the largest corporations in the U.S. by revenue for fiscal 2012 (before expenditures). 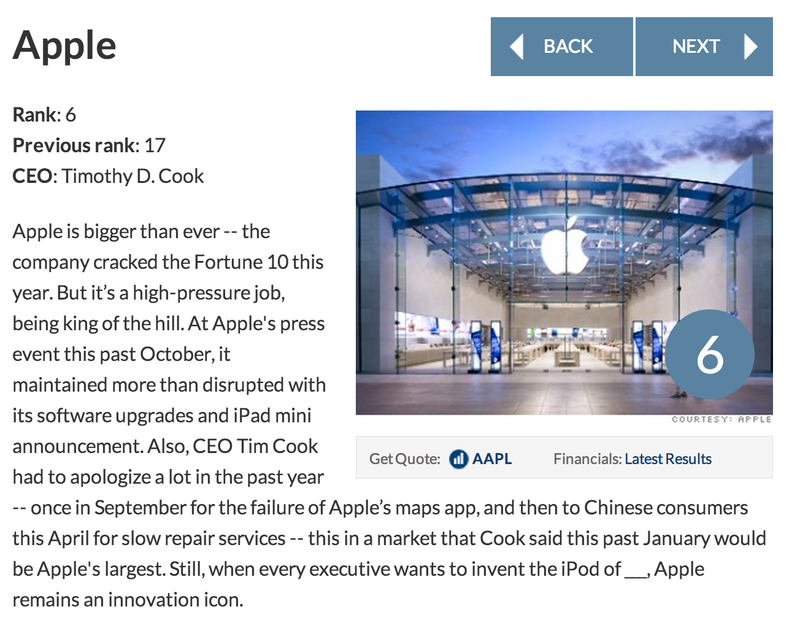 This year Apple, for the first time, has finally cracked the top 10 of Fortune’s list rising from its 17th place position last year to No. 6 on this year’s list. It’s still well behind Wal-Mart at No.1, as well as Exxon Mobil, which Apple happened to briefly surpass Apple’s market cap back in January to become the world’s most valuable company. As for tech companies on the list, Facebook just barely made the Fortune 500 for the time this year coming it at number 482, while others include AT&T at No. 11, HP at No. 15, Verizon at No. 16, Microsoft at No. 35, and Amazon at No. 49. 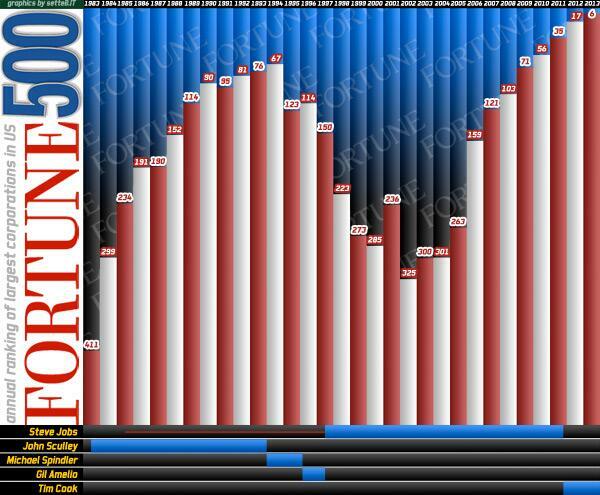 Head below for the top 10 list and check out the full Fortune 500 here.